$17.74 for the Player’s Handbook!? Now’s a great time to check out D&D! 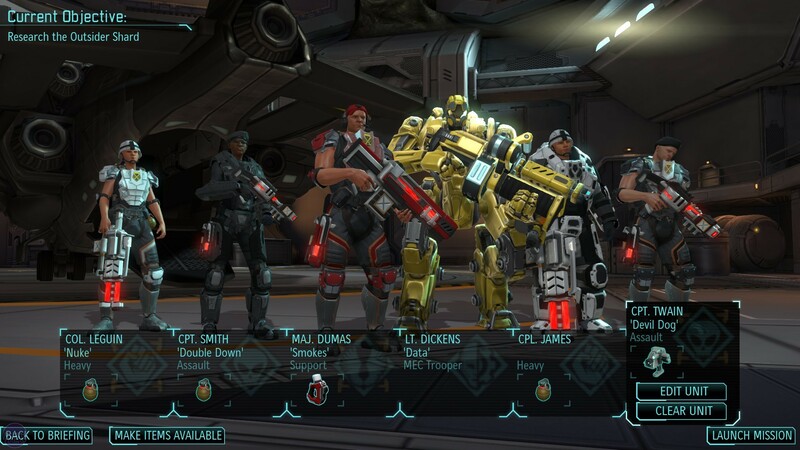 There’s this game I’m playing called XCOM, and you can earn a level in the Guild if you can beat it. The game is TOTES AMAZEBALLS AND THERE’S A SUPER-CHEAP $1 SALE UNTIL FEBRUARY 2, 2016 . 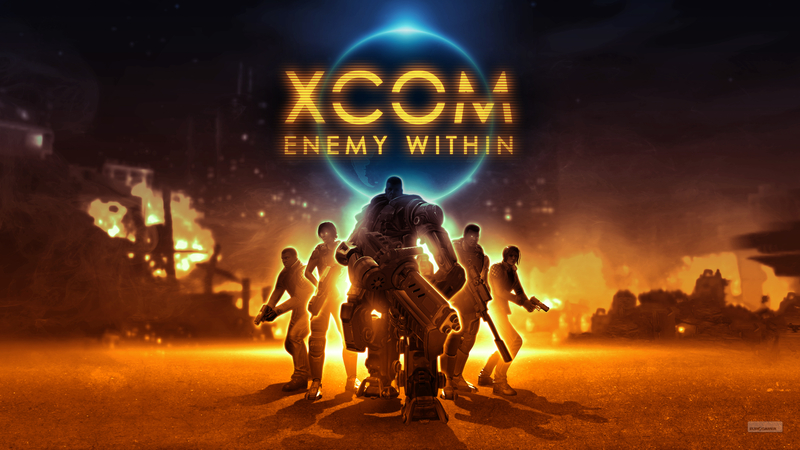 However, I HIGHLY recommend the $10 package on that site that includes all the game’s expansions including XCOM: Enemy Within (cybersuits, gene mods, and more missions! ), plus the EXCELLENT strategy games Civilization 4 and Civilization 5 and other games! The game can be found for many platforms, including Android. It’s about protecting the Earth from an alien invasion. They are far more technologically advanced than you, and you have to research their tech to protect your troops with better armor and weapons and abilities. You can research cyber suits that punch alien robots, and learn how to attack aliens with your minds. Trés cool. It is notoriously hard. 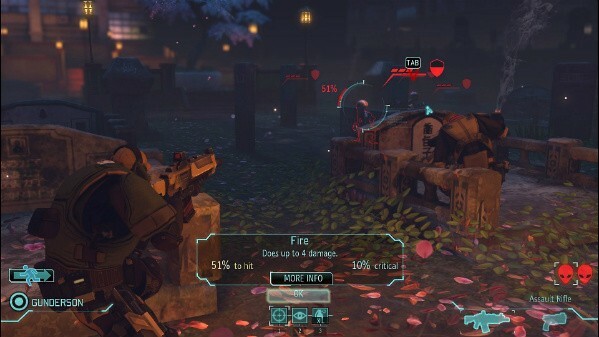 As such, XCOM is a great exercise in learning tactics and coordinating the abilities and actions of your entire party: very important and transferable tabletop RPG skills! You will SCREAM and CRY tears of anguish when that veteran soldier of yours who you had from the beginning is impregnated by a Chryssalid, or head-shotted by a super-accurate Thin Man. The stakes are high, especially when you play in Ironman mode (no reloading). It’s just very exciting, and IT MAKES VICTORY, WHEN YOU FINALLY RIP IT OUT OF THE ALIENS’ COLD DEAD HANDS, SO MUCH SWEETER. Name your soldiers after your friends — I dare you. There’s a strategy layer where you expand your base, manage resources, spread satellite coverage over the world, and choose your research paths. Finally, here is a gameplay video that gives a sense of how it plays. You can earn only ONE reward from the game. So if you beat the game on Easy and on Normal difficulty, you still just earn the 40XP reward for Normal difficulty. It’s getting to be that time of year in America to reflect upon what we have, spend time with family, and of course to SHOP! There are few better ways to make a GM feel like they’re “all set” than a menagerie of deadly monsters! 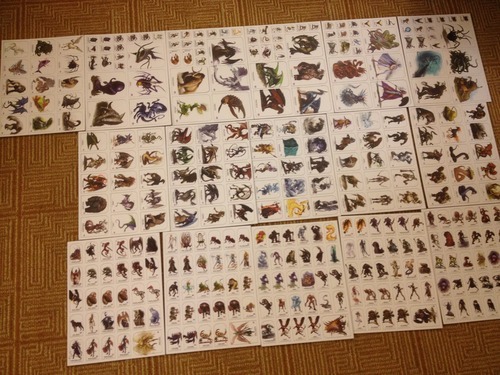 This box has more than 300 creature pawns from the Pathfinder Bestiary, the first Pathfinder RPG monster book. Each pawn is printed on sturdy cardstock and slots into the plastic bases that come with the set. Included are Small, Medium, Large, and Huge(!) monsters from the Bestiary. 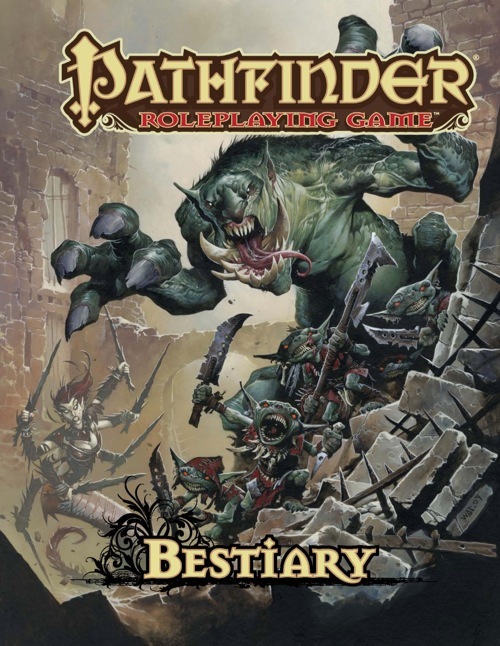 One should not have this without first having the Pathfinder Bestiary, however, to have stats that go with these monsters. Because the box is heavy, it is probably cheaper to go to your FLGS (Friendly Local Gaming Store) to get one. In Berkeley, there are Games of Berkeley and Eudemonia. Let’s be honest: some kids like the Game Master role because they get to be in a position of authority with their friends. They have the privilege of handing down game rulings and determining whether their friends live or die. Well, nothing helps cement the enigmatic status of the Game Master than a GM Screen! Secondarily (for the kids! 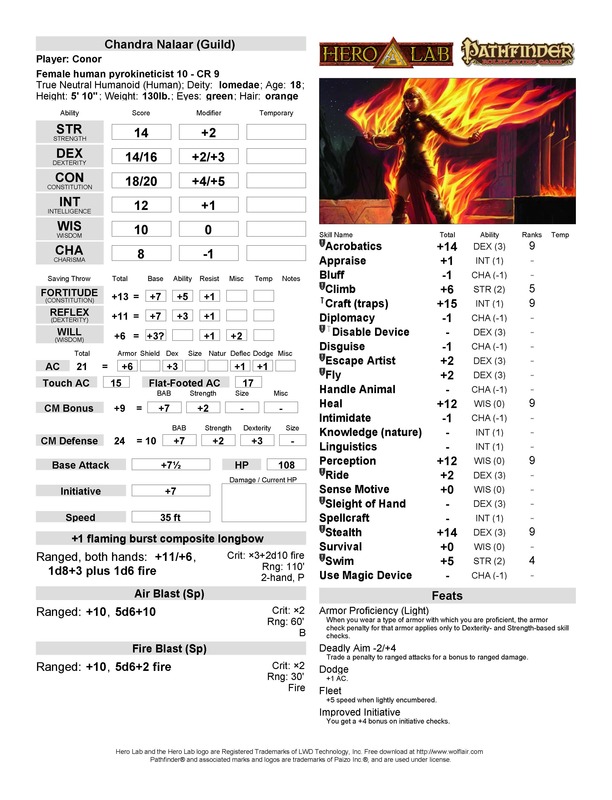 ), it also has its USEFUL functions: preventing prevents players from seeing the GM’s adventure notes and monster stats; serving as a stand for placing initiative cards; providing many useful charts from the Core Rulebook such as skill tables, condition descriptions, and stats for environmental features (e.g., an answer to “I try to break down the door!”). Kids will also be targets of envy if they nab one of the uncommon versions that have alternate covers: GM Screen. 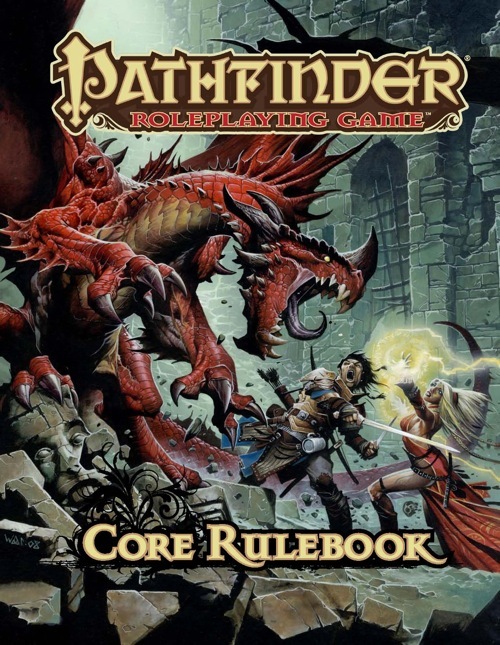 The Pathfinder RPG Core Rulebook from Shopping Suggestions, Part 2 provides all the core rules and options to run a full Pathfinder RPG game. 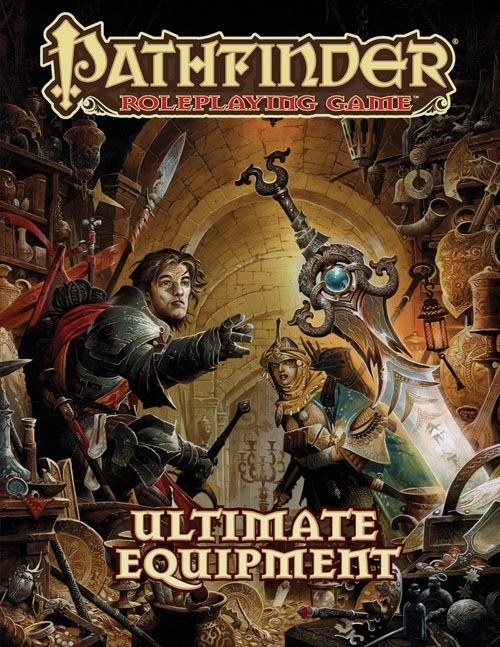 The book Ultimate Equipment provides an expansion of fantastical gear and magic items to supplement those core rules. However, those books stay within the established tropes of fantasy and swords & sorcery (Lord of the Rings, Conan the Barbarian, etc.). 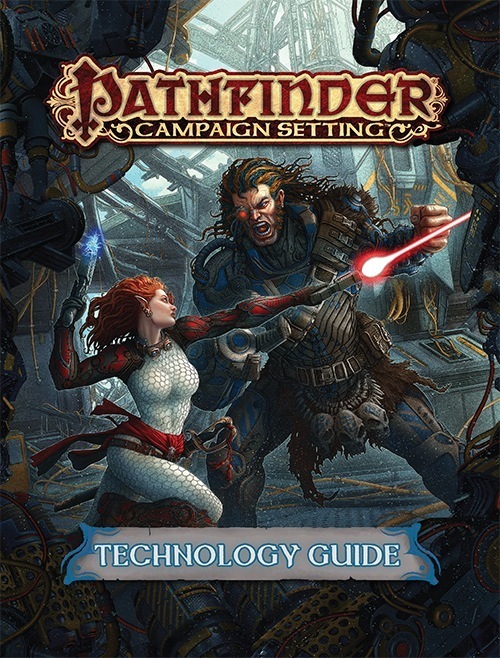 That is because Paizo reserved SUPER-SCIENCE and TECHNOLOGY for the Technology Guide! It is a softcover book containing TONS of technological options: including laser guns, hologram generators, cybernetic implants, remote controls for robots, powered armor, and extinction wave devices! There are also archetypes for some classes, and a new prestige class, the Technomancer, which uses magic to command robots and power technology. Sure, this is heresy for fantasy purists. But for others this is the chocolate to their peanut butter. This supplement suits fantasy/sci-fi themed campaigns, and was published to support the Iron Gods Adventure Path. This is not at all required, however, to be a player in Iron Gods. This is on the pricier end of the spectrum, but for those students for whom CREATING A CHARACTER is a large part of their Pathfinder fun, it is a godsend. Making a character in Pathfinder RPG, especially a high-level one, can be complicated. For some young people it is a genuine stumbling block — a black box hiding away part of the fun, which is a shame because Pathfinder RPG supports a wide range of character concepts, from druids with animal companions to gunslingers to mad scientists with detachable tumors that fight for them to mind-controlling mesmerists to world-shaping wizards. As a result, many students find themselves dependent on me or other more experienced players to selectively feed recommendations to them from the sea of options (there are over 2,000 feats!). The numerous classes, archetypes, spells, and equipment are scattered over several books, making this process even more difficult. Hero Lab empowers some students to do the building on their own, and can open up another world within the world of the game. Hero Lab computerizes the process and consolidates the options in navigable menus. And because Pathfinder RPG has many numerical interactions, it automates the math. So for example, if you put on that Belt of Giant Strength in Hero Lab, it adjusts all your attack and damage rolls and skill bonuses for you. If you transmogrify into a rhinoceros, it calculates your new stats! Also, Hero Lab warns you that you cannot take that Feat because you need to meet one of its requirements first. While some might see this as a crutch that replaces actual studying of the game rules, for others it can be positive by serving as “training wheels” because it shows you specifically what went wrong: one can’t learn without knowing something is wrong first, and understanding why. 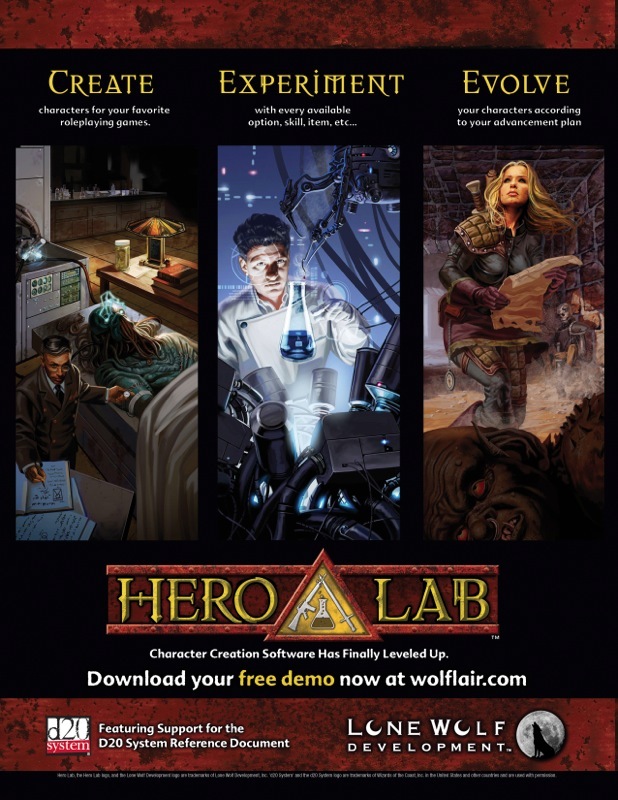 The downside of Hero Lab is its price – $30 for the software that supports the Core Rulebook, and $10 to support each supplemental book. So, to be in sync with the class options we use in the afterschool program that is $50 (which uses Advanced Player’s Guide, Ultimate Magic, Ultimate Combat, Advanced Class Guide, and Occult Adventures). The Ultimate Equipment options we use in the class are another $10. And we use the improved versions of the rogue and summoner in Pathfinder Unchained ($10). Also, this is a gift that keeps on giving: Lone Wolf Development, which develops the software, provides ongoing updates to improve its usability and to patch changes to the rulesets even after the printing of a book is superseded by errata. There are some free interactive Excel spreadsheets and other options out there, but they pale next to Hero Lab and they don’t constantly update. Lastly, there are is an online community of people who create their own fan-created packages for Hero Lab, including a package that includes the options from the excellent third-party Ultimate Psionics book that I personally use. Well, I’m not real good at the esoteric things. But I do have examples of learning concrete real world skills. Some years back, both of my boys were having trouble in school. Though they are both reasonably intelligent, they were at the bottom of their respective classes in reading, spelling, and mathematics. One has an actual learning disability that makes reading very difficult and slow. The other just really didn’t try. I think because he was reading as well as his older brother who obviously wasn’t getting in trouble for it. I got them interested in Magic The Gathering card game (including a computer version that let them play against the AI all they wanted). Well, to play that game you have to read and understand the card then add and subtract all those numbers. Then decide what will well work together in a deck. In one game there is more reading and basic math than in any 2 school lessons that we would have to fight all night to get them to complete. Yes, eventually they would get the cards memorized. But that is also a good skill. Didn’t bother me at all. Every so often I’d get them a new booster back that they would have to understand then figure out how to incorporate in their decks. After a couple months when they had that well in hand. I introduced them to DnD 3.0 books I still had lying around (I wasn’t in a gaming group at that time). They loved it. There’s tons more crap to read, understand, consider, add, subtract, multiply, divide, etc… than in any card game. The holiday season is an excellent time to post Part Two of my shopping suggestions for parents of kids who like Pathfinder RPG! This is the mother of all Pathfinder RPG books, my friends, and in more ways than one. First of all, it is MASSIVE at 576 pages, and the reading level is pretty advanced for middle schoolers. But on the other hand, it goes beyond the Beginner Box and has 7 races, 11 character classes that go up to 20TH LEVEL (and 10 prestige classes), and hundreds of spells! Kids will want to digest much of this book because of the sheer number of new options it presents. Second, all the other Pathfinder RPG rulebooks “sprout” from and expand on this set of rules. So this also is an extremely well-organized reference — other rulebooks expand on player options or give game masters more monsters to throw at players, but this book is where a player will find 90 percent of the rules used during a typical gaming session that uses the full rules. This has over 300 monsters that will awaken the imagination and give kids the creatures they need to think up their own adventures or even just improvise battles with friends. The monsters range from crawling vermin to the world-ending tarrasque. Many of the creatures can be used easily even if someone has just the Beginner Box. Kids love to imagine their characters getting more powerful or want to “craft” their own items. This has hundreds of pages of magic items, many of them illustrated, that kids’ characters in The Guild can (eventually!) find, buy, or craft. The items range from waffle irons to unique artifacts to items that stop time or allow travel across dimensions. If they decide to “game master” their own adventures, they can use some of the items from this book. Paizo, the company that makes Pathfinder RPG, was known first for writing great fantasy material, first in Dungeon and Dragon magazines, then later in their fully-realized fantasy campaign setting of Golarion. 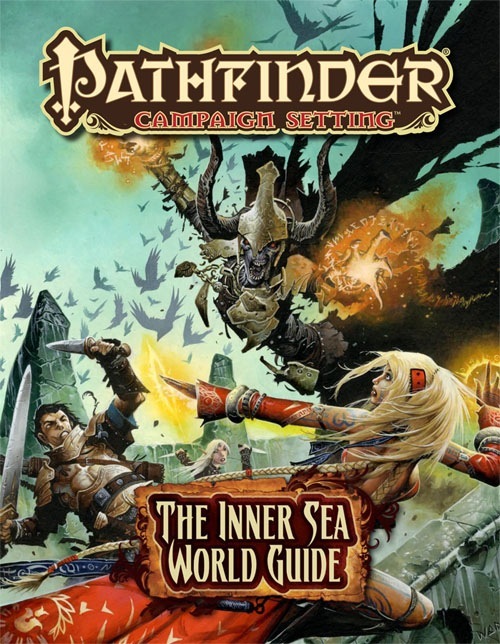 The Inner Sea World Guide is a gazetteer of the world of Golarion, with maps and entries describing a wide variety of nations that includes urban metropolises, vast jungles, magical wastelands, and even the demonic worldwound. It also has cultural information on the religions, the Golarion calendar, and other stuff. All the pre-made adventures that Paizo publishes for game masters to run take place in Golarion. This is great for those who like to immerse themselves in fantasy worlds. 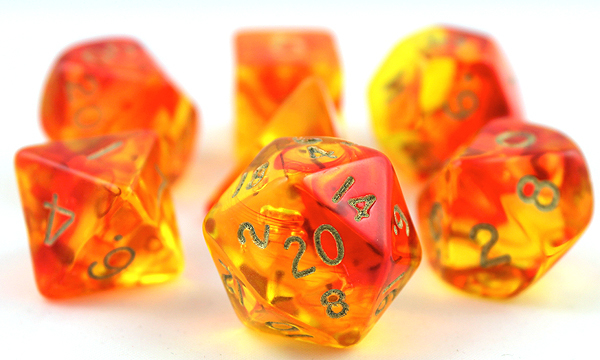 Tabletop roleplaying games (RPGs), in addition to being insanely fun, are an excellent way for students to develop their creativity and to channel their interest in fantasy, sci-fi and/or RPGs into a social game where they learn problem-solving and cooperation with their new friends and peers. In my weekend RPG program (separate from King Middle School), students also do creative writing about their adventures! Here is a PBS video on the benefits of tabletop RPGs. It says “Dungeons & Dragons” as a way to refer to all tabletop RPGs, including the system I mainly use, the Pathfinder Roleplaying Game.